If there was a crash, you know someone goofed. It doesn’t work like that with a car crash. Nearly 250 fatalities are reported due to car crashes in CT every year, and thousands of (thankfully non-fatal) collisions occur due to speeding in the same time frame. “I was late.” – Understandable, as everyone will face this situation uncounted times in their lives. But will speeding really remedy this? Sure, it will make you feel better that you’re trying harder to get to where you are going, but what you are really doing is putting yourself at risk of getting into a crash and making yourself a target for law enforcement to pull you over and remind you how bad of an idea speeding really is. If you weren’t late before the officer wrote you your new ticket, you sure were afterwards. 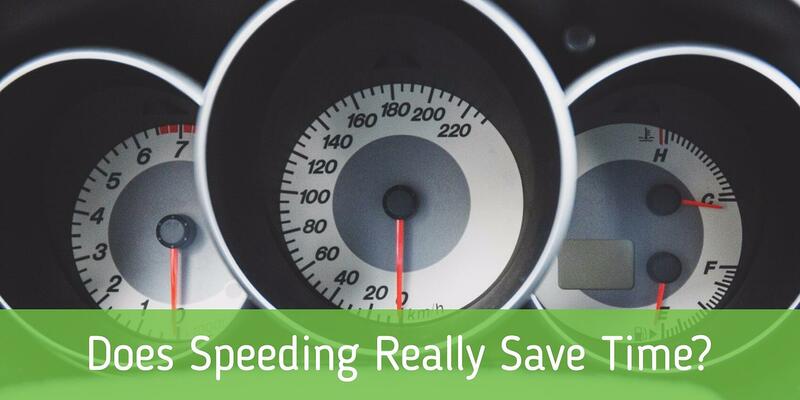 But does speeding really save you any time on your trip? The math says otherwise. 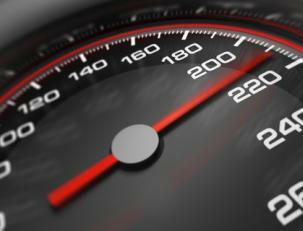 Most folks will speed going 5 to 10 miles faster than the limit at any one point during their trip. If you travel 30 or so miles, counting traffic you could be looking at perhaps only 5 minutes of saved time. “I was on a hill.” - Gravity makes cars build up potential energy at the top of a hill, and when they roll down it the vehicle will gain kinetic energy, causing it to travel faster. 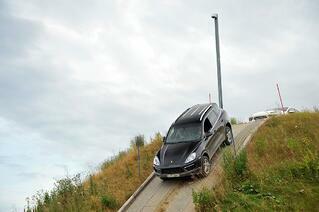 Going down a hill and using gravity to move your car can save you some gas, but if you don’t do it in a controlled manner you’re going to have more trouble in a crash with another car, a sideswipe with a tree on the side of the road, or running over an unseen pedestrian than the benefits of some frugal gasoline practices are worth. Speeding also drastically reduces your car’s gas economy: your miles-per-gallon goes down on a sharp decline the faster your vehicle is travelling. This means you’re using more gas to go the same distance if you speed. It makes sense: if you walk somewhere you’ll be much less winded than if you sprinted the same distance. “I know these roads like the back of my hand.” – Knowledge of the roads matters little when an emergency happens. Folks don’t crash in ideal conditions, usually. It’s when there is a deer in the road, when someone is stopped on the side of the road, when a child runs out suddenly, when the person in front of you lays on their brakes without warning. You might know the roads, sure, but speeding down them is just reducing your reaction time to these intangibles. 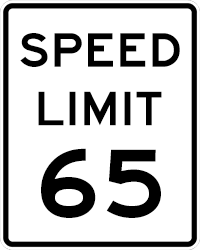 “I was going 75 in a 55 zone because I thought the limit was 65 and the police always give you 10 miles per hour leeway.” – Sometimes folks speed simply because they can: maybe they just like to go fast or like to pass others and pretend they are some kind of race car. Mix this with some misinformed practices, and you have a recipe for disaster. KE = ½M x V2. While this equation may look like gibberish to you, it details the importance of speed (here as velocity, or V) to kinetic energy (KE, or basically how hard a car will hit when it crashes in our example.) The other variable is mass, and seeing as it’s only HALF mass times velocity SQUARED, you can see how doubling the speed can quadruple the kinetic energy of an impact. As the saying goes: speed kills. The speed limit is set by a civil engineer, taking into account a multitude of factors before spitting out a number. The limit isn’t negotiable: it’s the fastest you can go in ideal conditions. Raining? Snowing? Go slower than the limit! It was designed to give you the reaction time to stop in case there is an emergency, even if you know the roads, even if you’re late, and even if you think the cops give you leeway on your speed. Tell it to the ticket. I’m sure the police officer will be glad to give you the chance. Get your driving instruction from the experts! Take a driver's education class with The Next Street!